Attending a rock concert mandates wearing something black, a concert t-shirt or otherwise. Black is the unspoken color of rock n’ roll. Similarly, if it’s March 17, one wears green, even if she isn’t Irish. People wear red on Valentine’s Day, and team colors on game day. Colors convey feelings too. Not all police wear blue, but folks would have a hard time with a police officer dressed in pink. On the other side of that coin, silly clowns turn into serious mimes when they lose the colorful clothes for serious black ones. Simply put, there are moments in life, the right color is predetermined. Most of the time, folks have no idea why that is the color of the moment, but they go along with it anyway. Each of these is a curious matter of human behavior, like the logic behind why painter’s clothing is always white. If one were to ask 100 painters, “why?” the variety of answers would add up to 101. Search the internet and you’ll find that many of the rationalizations are downright silly. Where the heck some of these rumors come from is as baffling as the answers themselves. Whether or not they are factually true is a whole ‘nother bag. But, first, let’s define painter’s whites. Other than a painter’s footwear, and sometimes that too, what painters wear is white. The apt name for said uniform is “painter’s whites,” which consists of several pieces. In the pants department, which includes overalls, white canvas or white denim cover the legs. On their chests, most painters today wear a short or long-sleeved t-shirt. They may top off the outfit with a white cotton hat. This makes a terrible outfit for walking in a blizzard but is an ideal combo for working with a PVA primer. It’s true, at one time the painters union did mandate their painters wear white, but it didn’t start with them. Painters wore white before the existence of unions. So, this is actually the behavior of the painters driving the union standards. For awhile non-union workers would stand out in their non-white workwear, at least back in the day. Nowadays, all painters can wear white, union members or otherwise. Once upon a time, in the 1700s, if they were painted, houses were most frequently white, especially in the south. 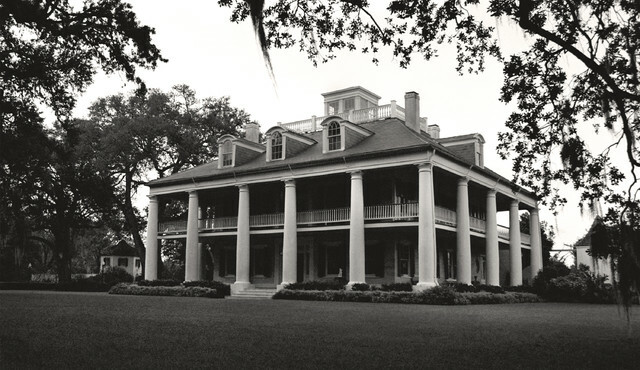 Think southern plantation home. White reflects sunlight, so houses stay cooler. As far as being a reason for why painters wear white, this is weak. 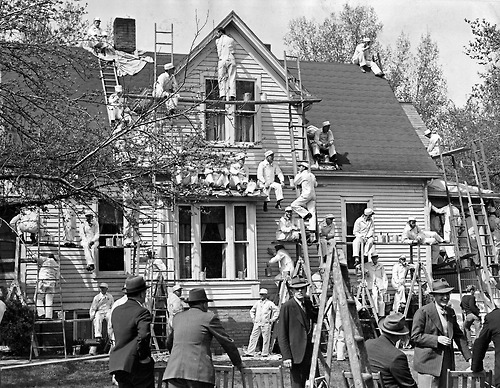 Some historians debate the validity of the root argument, citing that houses didn’t become targets for white paint until much later. Also, painters were never just painting exteriors, so this theory is thin. When one mixes paint colors, the base color is most often white. 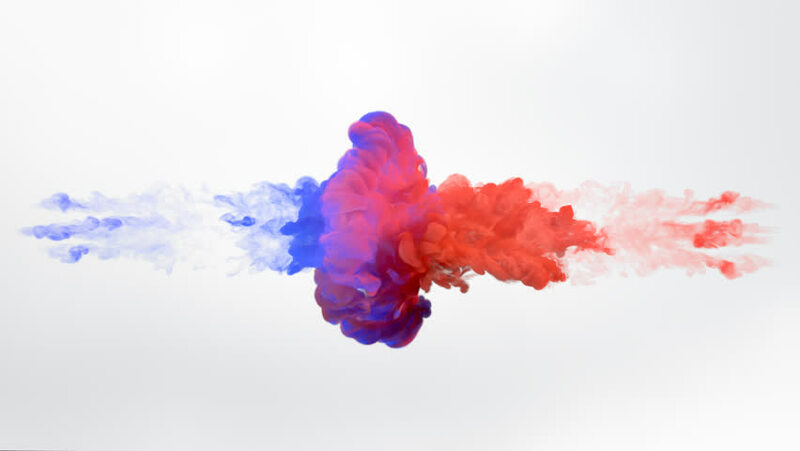 To make any color, it’s a matter of adding the right amount of red, blue, and yellow. This has been the case since the beginning of painting. More to the point, at one time, painters used to mix a white lead powder with paint paste to make paint. The mixing process produced large amounts of white dust, which went everywhere. To hide the dust, the painters wore white. This is one of the most logical reasons on record. 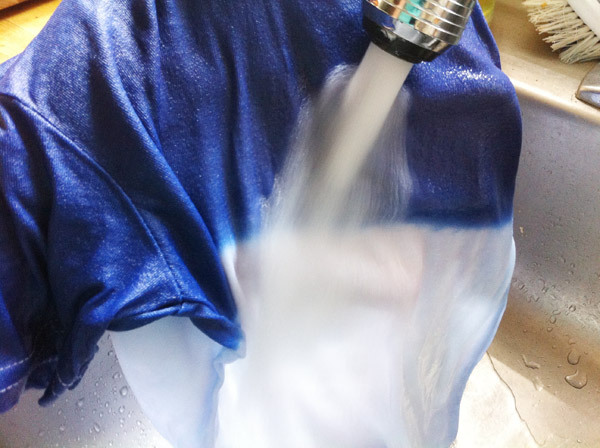 Fibers, especially natural fibers, start closer to white than any other color. At worst, they are off-white, but the more white the fiber, the finer the quality, the cleaner the fabric. 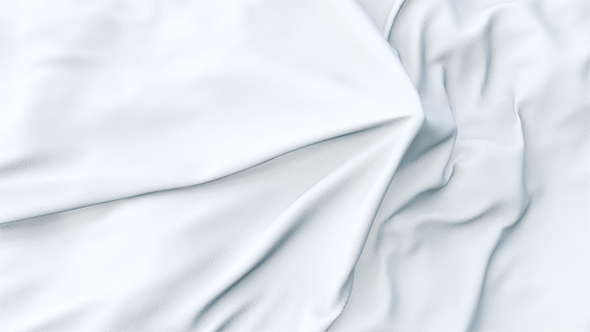 Hospitals use white because it’s easy to tell if the fabric is clean, same as fine dining (white tablecloth) establishments. For this reason, we associate white with clean. The business of painters is a finishing business. Masonry and welding can be messy affairs, but by the time one is painting, the operation should be a clean one. For better or worse, white tells the tale of a painter. Historically, white may have been a better indicator of skill. At one time, buying new clothes was an expense not easily written off. 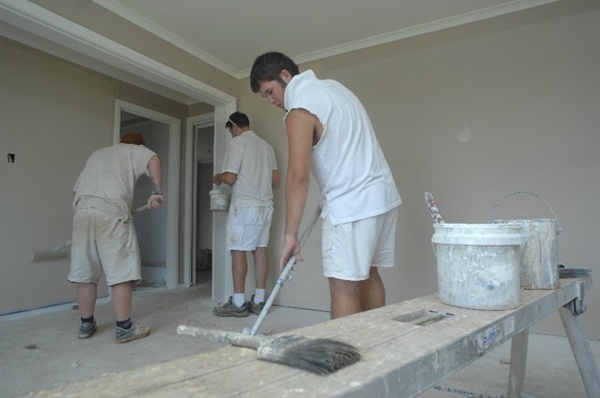 A painter with dingy overalls may give a contractor pause to consider hiring another painter with cleaner whites. In more recent history, buying a new set of white painter’s clothes is not so costly, so the value of paint on a painter’s clothes has flipped. Painters today wear layers of paint on their clothes like badges. It’s only the newbies who come dressed in bridal white. Right or wrong, popular culture maintains this bias, albeit fading some. The good guys traditionally wear white. 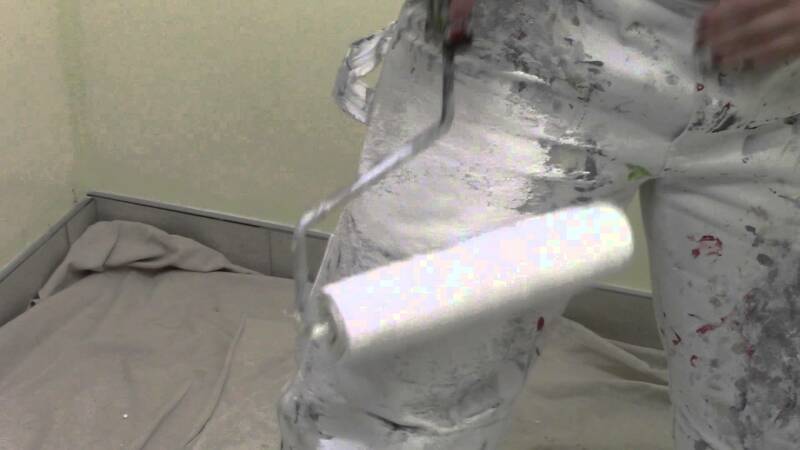 As a logical reason for why painters wear white, this argument is a little silly. 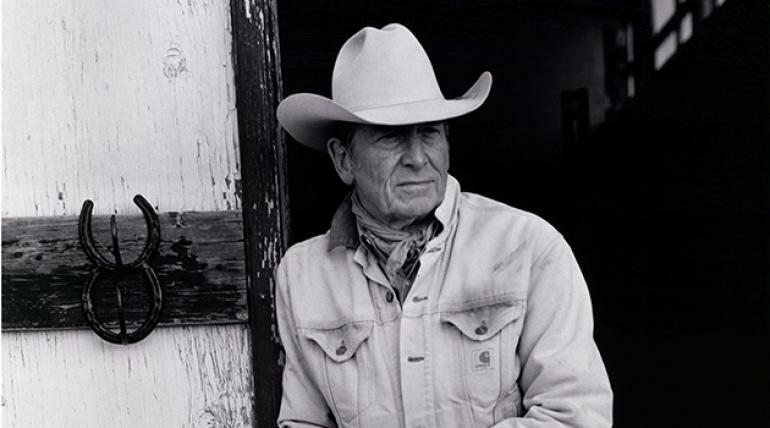 At one time, however, it may have held water, but those days ended with the last of the cowboys. Even white as the color of good is losing ground too. Today’s good guys wear any number of colors on the wheel. As in, if we’re gonna stand outside and paint in all these clothes, let’s do it in white clothes ‘cause the sun’s beating down today. There is a certain logic to wearing white, especially considering that painters have been wearing white since before air conditioning became a part of every building. Even after AC went mainstream, white was still a better idea. When painting outdoors, there is no escaping the sun, even in the shade when it’s hot enough. When entering a painting zone, touching the wet paint is a no-no. When folks see the white overalls, it signals a level of awareness subconsciously. Everyone knows what it means. There could be open buckets or trays of paint, precarious ladders, brushes or wet walls. White reminds us to snap out of our fog, at least until someone can put up the wet paint signs. Then again, we can ignore those signs and sit on the bench anyway. When it comes right down to it, white is cheaper to produce. As stated already, white is where fibers start. To dye them anything else adds cost in supplies and labor. If one is planning to paint in clothes, meaning they will get dirty in time anyway, then why not get the cheapest clothing possible? There is a decent logic to this argument. By the same token, however, wouldn’t all trades seek the same logical solution, not just painters? Wouldn’t every person in work wear seek to save on work clothes expenses? This argument is a stretch. This is as much of a bottom line as one can find on the matter. People do as people do. When or how trends start is nearly impossible to source. At some point in history, white became the color of painters. Whatever the logic behind it, once enough painters wore white, that became the color of painters. Thus, the first painter’s unions claimed white. All painters today, even non-union ones, wear white. It’s a matter of uniformity. The closest to an official answer in this list is the mandate of the painter’s union. 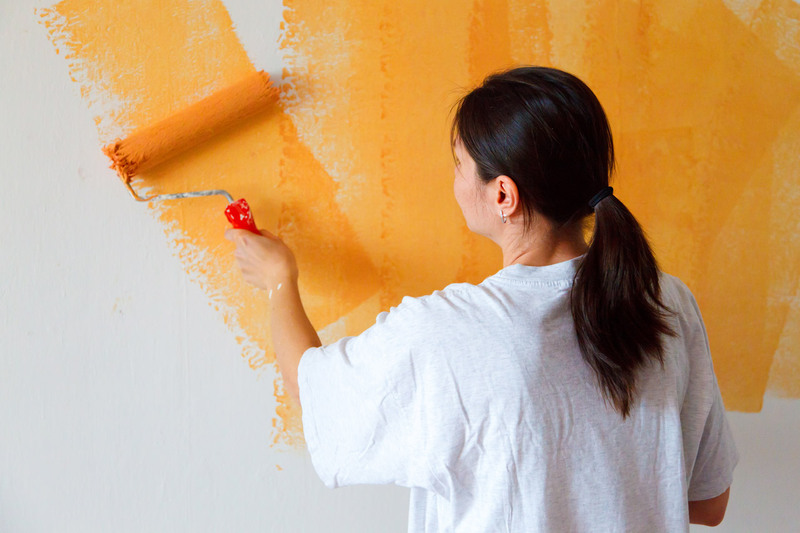 The most logical reason is that painters wear paint because that’s what they’ve always worn. At some point, clever readers of this blog wondered but, wait a minute… other professions wear white too, don’t they? This is correct. One could just as easily have asked, why do chefs wear white, why did nurses used to wear white, why do doctors wear a white coat, and why do butchers wear white? The answers to those questions are roughly the same as what’s already been written above. It’s the same reason why rock fans wear black, why wearing green is an excuse to drink green beer, and why clowns are silly but mimes are serious. The best we can do is to make up a logical answer, but the truth is a little simpler. That’s just the way it is. Painters wear white because they’re actually angels on Earth, laboring at the skilled work none of us wants to do. Don’t ask them why they wear white. Ask to see their wings.